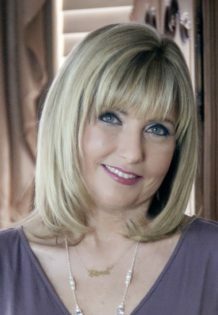 Excerpted from my August 2, 2012 show on A Fine Time for Healing, Is Our Ability to Empathize Eroding? The Sociopath, also known as a psychopath or as one having an anti-social personality disorder is a callous, remorseless, self-centered individual. But those with this disorder are not insane—they are completely aware of what they are doing and what the consequences of their actions will be. They make their decisions rationally, not out of delusion. Sociopaths lack what’s called the affective part of empathy meaning that they are aware of how the other person is feeling or what they are thinking but they simply do not care. As they see it, people are just objects to use for their own gratification. They are manipulative and ruthless predators who often choose those who are weak and vulnerable as their preferred targets. Most psychopaths begin showing seriously problematic behavior when they’re children. This does not reflect the homes they come from. 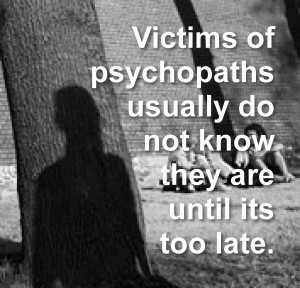 Psychopaths may come from loving homes or they may come from abusive homes. It seems to be more neurologically related. Some research points to dysfunctional neural circuits. At an early age sociopaths may bully, be violent, persistently lie, set fires, vandalize, steal, take drugs, be sexually inappropriate, or be trouble makers in school. They ignore authority and make their own rules so they tend to get in trouble from a very young age. A huge red flag with these children is cruelty—cruelty to animals and cruelty to other children, including their siblings. 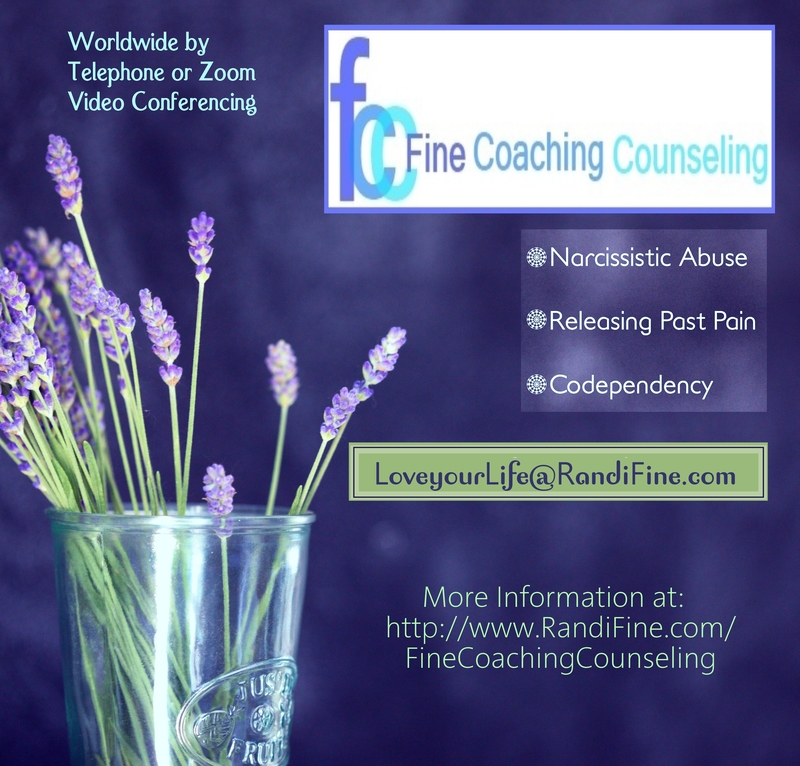 Sociopaths lack remorse and guilt, and are somehow immune to anxiety. They rarely feel embarrassed over their personal failures because they have a keen ability to rationalize away their behavior by blaming everyone else for what goes wrong. 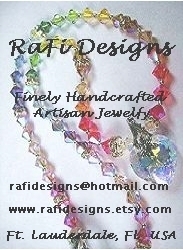 They can conjure up an excuse for anything on a moment’s notice. And if they aren’t making excuses for their behavior they are denying it. No matter the atrocity of their actions they will refuse to acknowledge that they have a problem. Sociopaths have a total disregard for the truth; in fact because they do not generate anxiety when they lie, many are able to pass lie detector tests. Unpleasant emotions associated with fear of pain or punishment are what motivate the average person to avoid doing things to cause them. Not so with psychopaths. They lack normal physiological responses to fear. The sociopath lacks impulse control. 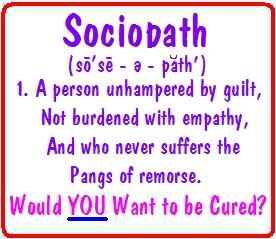 What motivates the sociopath to take action is his insatiable need for immediate satisfaction, pleasure, or relief. He lacks impulse control. He spends very little time deliberating or weighing his actions and doesn’t care about the possible consequences that are associated with them. If the rules of society get in the way, so be it. Given the ease with which he lies, the sociopath is a successful con artist. He will cheat, steal, defraud, and manipulate others without a second thought. He is an opportunist who sees the world in black and white. He believes that there are those who take, and there are those who give. Everyone is either prey or predator. He feels justified in exploiting whomever he can, and believes that it would be foolish not to. What is interesting to note is that sociopaths, who are most often male, are often very likeable, charming people, but their charm is superficial. They are excellent, convincing actors, chameleon-like, who can act however they need to in order to get what they want. Though they are incapable of feeling or giving love, they easily and convincingly mimic caring relationships and friendship. 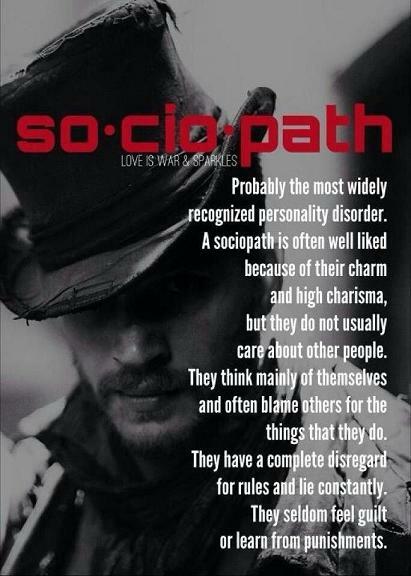 But the sociopath feels no more love for his family or any other close relationships than he does for strangers. He objectifies all people. He views those close to him as his possessions. 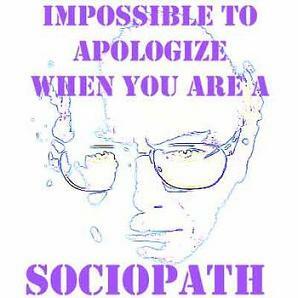 Sociopaths can be quick witted, appear highly intelligent, and be excellent conversationalists. They have the uncanny ability to weave incredulous stories to make their selves look good and make rational people believe what they say. With an over-inflated sense of self, believing that the world revolves around him the sociopath feels entitled and justified to live by his own rules. Whoever gets hurt in the process is of no concern to him. The sociopath is easily provoked. He reacts to criticism, frustration, and failure with outbursts of sudden violence, threats, and verbal abuse. Many psychopaths are thrill junkies who get bored easily. They cannot tolerate routines, repetitiveness, or monotony. And because they get bored easily, they may commit crimes for purposes that make no sense; in ways that do not even seem to benefit them. That is what differentiates the sociopath and an ordinary criminal. The ordinary criminal is looking to gain something from his actions. The psychopath is not. Between one and four percent of people are sociopaths, but very few commit the cold-blooded horrific acts that we tend to associate with them. On the other hand, sociopaths represent approximately fifty percent of all serial rapists and a large percent of domestic violations. But more often than not, their callousness manifests in other ways. 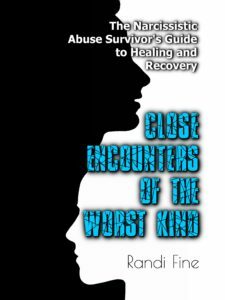 Though this non-violent, callous behavior may appear less dramatic and seemingly less destructive, their actions are still very devastating to their victims. Some neglect their families and children and allow them to suffer cruel consequences. 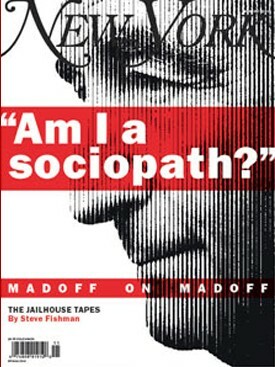 A perfect example of the destruction they can cause through non-violence is the case of Bernie Madoff; a man who bilked hundreds of well-intended people out of their life savings, and bled charitable organizations dry. His cruel actions drove some of his victims to commit suicide. Sociopaths are motivated by the thrill of using, dominating, and hurting others–and then getting away with it. They have a way of talking themselves out of trouble, even with the criminal justice system. They are masters at convincing others that they can be trusted, that they have learned from their mistakes, and won’t repeat their bad behaviors. But in reality they are twice as likely to reoffend as other criminals, and three times as likely to commit acts of violence after they have been convicted. That is because they feel no guilt for what they do. 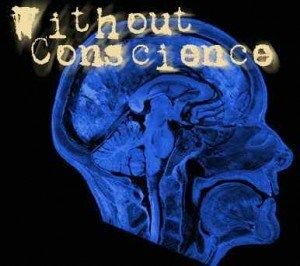 Unfortunately science has made very little progress in treating those with empathy disorders such as Sociopathy. Therapy does not seem to help build empathy in those who lack it. That is a scary thought because we never know when someone like that will snap. People who have the propensity to become serial killers and rapists walk among us and we have no idea who they are. Often these maniacs were quiet loners who lived beneath our radar. But they could just as easily be that charismatic, charming person who everyone admires. So who knows? This amazing documentary created by Stefan Verstappen explains it all. It is 37 minutes long but definitely worth watching. This entry was posted in Empathy, Internet Radio Show, Narcissistic Personality Disorder, Sociopathy and tagged sociopath traits, sociopathic, sociopathic behavior, sociopathic personality disorder, sociopaths. Bookmark the permalink.